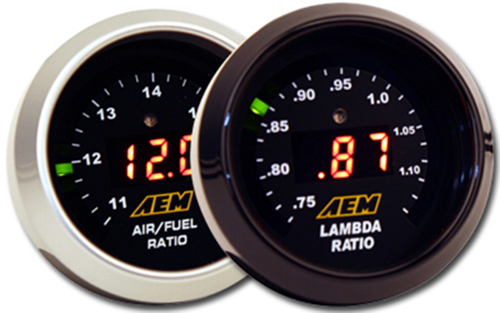 The 30-4110 AEM wideband is a replacement for the well renowned AEM UEGO 30-4100. While cosmetically identical the new AEM 30-4110 wideband controller gauge utilizes a Bosch 4.9 LSU oxygen sensor for enhanced accuracy and require no free air calibration - ever! TECH TIP: This part is 52mm size and will work the 52mm sized gauge pods. This gauge includes the Bosch 4.9 LSU oxygen sensor.